1. I don't have any tattoos (too much of a wimp) but if I did I would probably have FAC.33 on the back of my neck. 2. 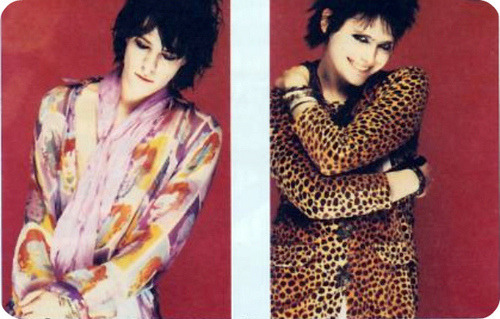 I get most of my inspiration for my outfits, music I listen to and books I read from Nicky Wire and Richey Edwards from the Manic Street Preachers. They are the only beautiful thing to ever come out of my home town. I have so much love for them, they are my heroes. Make up inspiration comes from Caroline over at Sparkly Vodka and my female fashion icons are Daisy Lowe and Marina Diamandis. 3. My favourite book is The Prime of Miss Jean Brodie. 5. I have a scar in my right eyebrow where I had two stitches after falling off a wall when I was five. 6. I love Manchester. Most of my favourite bands are from there, I love the city and its history and the people. I wish I had gone to uni there to do an MA after graduating but I was too scared to go on my own. I have been to Manchester five times now and I would quite like to move there before settling back down in the Valleys. 7. I have always lived in Wales and the longest I have ever been away from home is for three months when I went to New Zealand. I'm close to my mum and brother and get home sick quite easily. 8. My teenage crushes were a little odd and included Jarvis Cocker, Matt Bellamy, JC Chasez from *NSync and Reece Shearsmith. 9. I got full marks in all of my History A Level exams and then went on to do spectacularly badly at university because I lost all interest in being academic. 10. I have dyslexia and dyspraxia but didn't find out until I was 20, which meant spending the first part of my life thinking I was an idiot. 11. 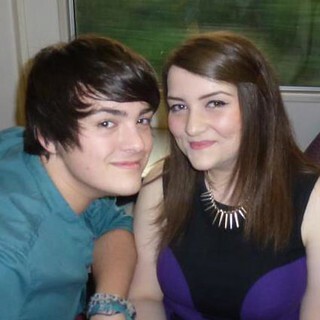 I have been to see Britney Spears with my brother three times, I am not ashamed. 12. Not sure if the happiest moment of my life was getting my dog Sookie on Christmas day three years ago or seeing Morrissey at Wembley Arena. 13. Working in a library was never something I planned or dreamed of doing but I am enjoying it. I wanted to be a radio DJ or be in a band but I lack any musical ability and I am the least rock and roll person ever. Previous jobs include barmaid, cleaner, sales assistant at Topshop and club promoter. 14. I had about 40 driving lessons but never took my test. I have no interest in driving, my dad made me have lessons. 15. I'm scared of the ocean and going on boats. I went on a cruise down the Nile as a child and saw crocodiles in the water and cried. 16. I am a member of the Labour party and try to be as actively involved as I can be. 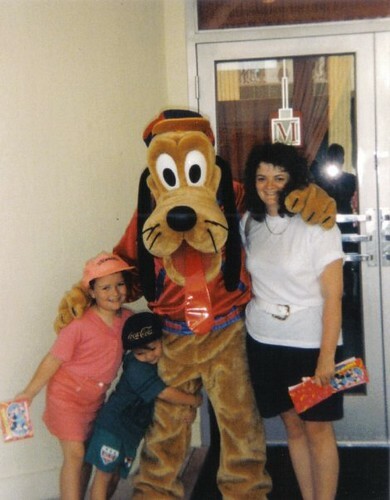 On holiday in Florida when I was 7. I would love to hear some facts about you! I'm the same as you I just wanna go to Florida and see Harry Potter world!! I once had a hamster called Chocolate and uuuum the first live show I saw was Micheal Jackson at the Cardiff Arms Park on mt 5th birthday. Might not know those ones ;) Darn, I could have made it up to 20. Woah, we are so similar. I always wanted to do something in the music industry but I soon realised that with a lack of musical talent it probably wasn't meant to be!